Welcome to home of Toronto Tango Festival. A four day celebration of Argentine Tango, with workshops for all levels, practicas, milongas, performances and more. Explore and enrich your passion for this captivating dance at the biggest and longest running Argentine Tango event in Toronto. We have invited world renowned maestros and outstanding DJs to keep you dancing to the wee hours..
Toronto Tango Festival is feeling excited. Toronto Tango Festival is at Lithuanian Banquet Halls. 15th Anniversary of TORONTO TANGO FESTIVAL is LESS than 3 months away!! Join us JUNE 13-16th, 2019 ! 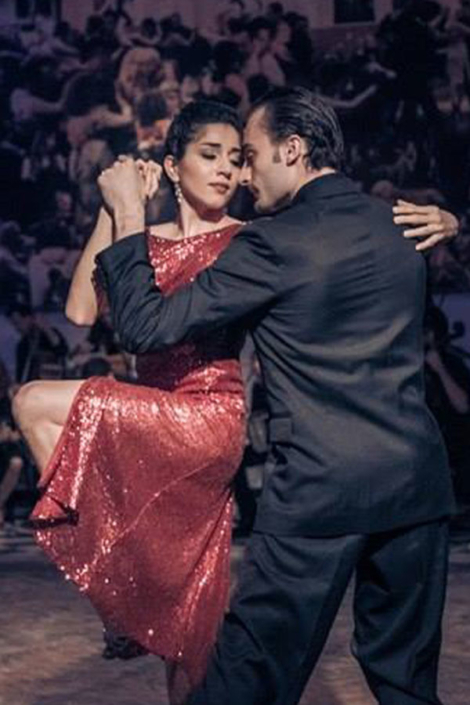 Get ready for the most exciting Tango weekend in Toronto, don't miss out! The full schedule is up and registration is OPEN!! We are very excited to bring you a wonderful line up of outstanding artists & DJs to celebrate it with us!